in a way any court would find to be reckless. We keep our own copy, just in case the original is lost! The production and administration of vaccines is being conducted in a way any court would find to be reckless. Double blind testing is generally not being done. The producers are completely immune from liability and therefore have little incentive to make safer vaccines. The CDC approved vaccines contain a host of toxic preservatives, antibiotics, and other additives. The CDC covered up and destroyed evidence that proved that one vaccine does cause autism. The CDC is promoting the vaccination of pregnant women, which can harm the fetus. There are safe and effective vaccines, but not a one is on the CDC list of approved vaccines. There is a big money vaccine war going on. On one side are those who say all vaccines on the CDC list are safe and effective and that we should vaccinate and have no need for more testing for safety. On the other side are those who say vaccinate less – or not at all – and test vaccines for safety. There are unsafe vaccines. Big Pharma knows this and continues to push unsafe vaccines. The flu vaccines which contain mercury Thimerosal are the most conspicuous example of unsafe vaccines. Vaccines containing Thimerosal get a grade worse than “F”. Thimerosal proponents should be expelled from school for their malicious incompetence. 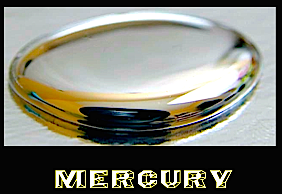 Any vaccine containing mercury is downright dangerous and should be banned. Even worse than putting mercury in vaccines in vaccines is the absurd practice of vaccinating pregnant mothers with mercury flu vaccines, given that the mercury passes through to the fetus. Safe but not effective: What if a vaccine is safe but not effective? There is no point in taking a vaccines which is safe but not effective. This is because no vaccines is absolutely safe. All vaccines and all drugs in general involve some risk, so one should not take a vaccine unless there is a good reason to do so. Effective but not safe: In theory a vaccine might be effective but unsafe. If can be unsafe to the person vaccinated, causing adverse reactions, or it can be unsafe to others, for example, if it is leaky and spreads the disease it is designed to prevent. Likewise, the rabies vaccine, perfected by Louis Pasteur in the 1880s, appears to be effective, but it is by no means necessary on a regular basis. The effectiveness wears off. Rabies in humans can be fatal. In Washington only bats carry rabies. Bat bites are rare. One can be treated for rabies after being bitten, with a vaccine and globulin combo that is effective and does not have serious side effects. There are reports of adverse reactions. And there are reports that intravenous vitamin C does a good job of helping the body defeat the virus. Well known physicians regard many or most vaccines as unnecessary. Dr. Nicholas Gonzalez, M.D. asserts that the polio vaccines was not necessary and should never have been developed. Dr. Richard Moscowitz, M.D., opposes vaccination in general, in part because he regards them as unnecessary. Finally, consider the vaccine which fails all five tests, including the test of legality, the mercury flu vaccine. The most common flu vaccine contains mercury Thimerosal. It is downright dangerous and should be banned. The flu vaccine is mostly ineffective because flu is constantly evolving. A moving target is hard to hit. The flu vaccine causes many adverse reactions and is unsafe to those taking the vaccine. The flu vaccine is leaky and spreads flu to others, which turns the herd immunity theory on its head. Finally, the flu vaccine is illegal. It is illegal because required development procedures required for all other vaccines are waived for the flu vaccine. A new flu vaccine must be prepared each year because the virus is constantly evolving. But the law requires tests which take a number of years. In the case of the flu vaccine, lengthy testing is waived. The law does not allow for any wavers. FDA regulations require that double-blind tests be done before FDA licensing of a drug. Phase 1, Phase 2, Phase 3, and Phase 4 procedures are required. Phase 1 involves a preliminary study on around 20 to 80 volunteers. Phase 2 is a controlled study on up to several hundred volunteers. Ideally such studies are double-blind placebo-controlled investigations in which patients are randomly assigned to a drug treatment group or a placebo group and neither the patient nor the investigator knows, until the end of the trial, which option the patient received. The little know truth is that placebo studies are not done with vaccines. A placebo study would compare the vaccine against a placebo containing saline solution or some other completely neutral injection. Instead the full vaccine containing the viral agent and adjuvants is compared with the same vaccine containing adjuvants but none of the viral agent against the target virus. Or the comparison might be the same vaccine administered before and after a certain age. Phase III drug trials are reserved for experimental drugs which have shown at least some evidence of effectiveness in previous trials. They involve large numbers of patients (several hundred to several thousand) and are designed to gather enough information on safety and effectiveness to allow an adequate assessment of a risk/benefit ratio for the study drug as well as for the preparation of material for physician’s labeling. They also use a broader patient population and can be designed to gather longer term safety and effectiveness data as well as data to establish optimum drug dosing. Phase III trials also typically have a data monitoring committee overseeing the collection of data during the trials. Phase 4 studies are long term evaluations. In the case of the flu vaccine, it is impossible to go through Phase 4 because the flu strain is constantly evolving and so the vaccine must be redesigned yearly. There is not enough time for four phase testing. The law does not say that all four phases of testing will take place when feasible. It says the tests will be done. Flu vaccines are thus illegal. They are also mostly ineffective, unsafe, leaky, and unnecessary. However, the flu vaccine is profitable. Around 300,000 doses are administered yearly as against only 20,000 of all other vaccines. [U.S.] It has been made popular through false propaganda. There are vaccines which are safe, effective, necessary, not leaky, and legal, but none of them are on the CDC list of recommended vaccines. I am referring to the homeopathic vaccines. The process is referred to as homeoprophylaxis. The homeopathic vaccines really do work. They contain no toxic ingredients and are perfectly safe. They do not spread the disease they protecting against. They have been proven by the Cubans and others to be very helpful in dealing with such diseases as dengue, chikungunya, cholera, and diphtheria. This is the type of vaccines which the CDC should be studying and encouraging with research funding. However, attitudes are beginning to change. Orthodox medicine has accepted massage therapy, acupuncture, and chiropractic. It may accept Chinese and Ayurveda medicine and someday homeopathy. Each has something to offer. Conventional medicine excels at dealing with injuries, organ replacement, and surgeries, for example. Homeopathy excels at strengthening the body’s defenses and thus to the prevention of disease and the reduction of the adverse effects of the disease. It is good at teaching the body how to respond to disease. The proof is in the double-blind studies. Homeoprophylaxis has been proven effective. At the same time homeoprophylaxis is safe and causes no adverse reactions. I am not sure that anyone knows how homeopathy works. But that should not lead to the presumption that it cannot work. Its first success came in 1799 when it was effective against scarlet fever. In 1902 it was proven to be effective against smallpox. During the great Influenza Epidemic of 1918-1920 homeopathic vaccines were effective in prevented flu infections and deaths. Cubans have had great success with homeopathic vaccines. Dr. Richard Moskowitz, M.D. is a supporter and practitioner of homeoprophylaxis. Originally vaccination targeted the most lethal, fast-acting virus of all, smallpox, beginning in the late 1700s and early 1800s. In Great Britain and the United States many attempts were made to require smallpox vaccination. Various smallpox vaccines actually spread smallpox, as discussed in detail by Dr. Mercola. It is said that the smallpox vaccine cannot have been responsible for the eradication of smallpox because only 10 percent of the population was ever vaccinated at any one time. The city of Leicester rebelled against smallpox vaccination and had fewer cases of smallpox that did nearby vaccinated communities. Smallpox was spread through coughing. An effective way to prevent the spread of smallpox was to isolate those infected. Opponents claimed that smallpox vaccine caused more smallpox than it prevented. The accusation is that the early smallpox vaccines spread smallpox. Smallpox lives in no other species, and so it is gone for good. Mandatory smallpox vaccination laws were passed in various areas of the United States, and some refused to be vaccinated. In Jacobsen v. Massachusetts, the Supreme Court in 1905 upheld a Massachusetts law which required vaccination or payment of a $5 penalty. The Court ruled that state and local governments could pass such mandatory smallpox vaccination laws and that those who refused could be fined. (It did not say that children could be excluded from school if not vaccinated, for example.) The reasoning of the Supreme Court was that the Constitution leaves police powers over such matters as health and public safety with the states. Ours is a federal system. Therefore, if there is any rational basis for a police action such as requiring vaccination, then the benefit of the doubt is in favour of the states. The Supreme Court presumed that smallpox vaccination was effective. This raises an important legal-scientific question: If a case such as Jacobsen is based on an incorrect scientific presumption, is it no longer good law. Can an appeal maintain that the law has not changed but the science has? I am not aware that this question has been addressed by the law. Fast forward to the 1970s and 1980s, when vaccine makers got sued for a bad DTP vaccine (against diphtheria, tetanus, and pertussis) and paid out around $8 billion. There was liability and suits over other vaccines. Vaccine producers threatened to quit making vaccines unless the federal government would grant them immunity against suit. So in 1986 Congress passed the National Childhood Vaccine Injury Act. The Act created a no-fault Vaccine Court, where claimants would submit their claims for vaccine harms to children. Later the act was extended to cover vaccine harms to adults. The 21st Century Cures Act, passed in 2016, signed by President Obama, extends the Act to cover children harmed as fetuses when their mothers were vaccinated during pregnancy. As originally written, the Act says that if claimants are not satisfied with the outcome, they could bring suit in state or federal court and have a judge and jury in open court and with pre-trial discovery. But that was to change. Before 1986 vaccine liability had always been decided according to state law. State law was applied whether suit was filed in state or federal court. In the National Childhood Vaccine Injury Act of 1986 Congress federalized all vaccine liability claims. A federal law was passed requiring that all claims for vaccine harm go to a special “Vaccine Court”, where there was and is no jury and no pre-trial discovery. The statute of limitations is tricky and short, and the burden to prove a specific vaccination harmed a child is arbitrarily difficult. Vaccine makers are shielded against general liability and even for badly designing a vaccine. Claims are paid out of a fund built up with a tax on each vaccine dose sold. This has led vaccine makers to become reckless, to do insufficient testing of vaccines, and to industrialize the vaccine business. In a claim for vaccine injury a petitioner can make a “table claim” if the outcome and the vaccine which might cause it is listed on the “table”, if a child is vaccinated and the first indication of harm appears within a certain short period of time, and if a claim is filed with the federal government within three years of the initial reaction. If these requirements are not met, then the claimant has to prove that the vaccine caused the outcome before the Vaccine Court, which allows no pre-trial discovery and which does not allow juries. From a decision of the Vaccine Court, appeal is difficult, and the Supreme Court case of Bruesewitz v. Wyeth in 2011 made it almost impossible, as discussed below. In 1999 the FDA did a study and concluded that there was no proof that mercury Thimerosal was harmful. Nevertheless the FDA ordered the removal or reduction of mercury Thimerosal from most vaccines to be administered to children under six years old. However, the most commonly used flu vaccines do still contain Thimerosal, and are administered to children under age six. There are other vaccines which contain Thimerosal – DTaP, DT, Td, TT, and Meningococcal. At some point the FDA stopped doing its own testing. Instead it relies on studies done by vaccine manufacturers. Vaccine manufacturers can withhold unfavorable studies. The FDA should resume doing its own testing. By 2009 some 5,500 cases had been filed with the Vaccine Court in which claims were made that childhood vaccinations had resulted in autism. To deal with this backlog of autism cases, three sets of three cases, nine cases in all, were chosen to serve as test cases so the Vaccine Court could decide whether a causal connection could exist between autism and three categories of vaccines, 1) the MMR, 2) vaccines containing mercury Thimerosal, and 3) MMR vaccines containing Thimerosal. (Thimerosal was later removed from the MMR). These nine cases were referred to as the Omnibus cases. Cedillo was one of the lead cases. In Cedillo and the other lead cases the Vaccine Court ruled that vaccines did not cause autism and therefore could not have caused autism in nine cases and in the entire 5,500 cases. Read the decisions made on each level as this case proceeded through the Vaccine Court to the Federal District Court of Appeals. Cedillo and the other lead plaintiffs went up against government attorneys, who outclassed the private attorneys by successfully attacking the credibility of the petitioners’ expert witnesses. On appeal the Federal Court of Appeals gave deference to the fact findings of the Vaccine Court. In Cedillo vs. HHS the Court upheld the decision of the Vaccine Court. All 5,500 or so claims were denied. It was a flagrant violation of the plaintiffs’ right to due process of law. You would think that things could not get any worse for the vaccine injured, but they did. In 2011 the Supreme Court reinterpreted the National Childhood Vaccine Injury Act in Bruesewitz v. Wyeth, one of its worst Supreme Court decisions since Dred Scott. The majority invoked the old rule of unavoidable accident (page 72), saying that injuries from vaccines were “unavoidable” and vaccine producers are exempt from vaccine design errors and manufacturing errors, even if the vaccine could have been designed or manufactured in a better way, as long as candid disclosures and warnings were included in package inserts. The doctrine of unavoidable accident has been mostly rejected by modern courts. The theory was that people should know taking a vaccine is risky, like taking a flight on the Space Shuttle, and so they are assuming the risk. The majority held that vaccine producers could no longer be sued for faulty vaccine design or faulty vaccine production. They could only be sued for inadequate disclosure. Package inserts in vaccine boxes are aimed at giving full disclosure so that vaccine producers can avoid all liability. Because package inserts disclose known adverse effects, they should be studied closely. The inserts do not say “safe and effective”. I will review what the package inserts disclose below. The most harmful aspect of vaccines may be the adjuvants, added to provoke the immune system to produce antibodies. The HepB, Strep Pneumo, Hib, Gardasil, TDaP, and Meningococcal vaccines contain aluminum. The body can deal with aluminum taken orally and excrete it, but aluminum injected directly into muscle is difficult for the body to excrete and can cause morbidity and mortality. Aluminum acts as an adjuvant, meaning it provokes an immune reaction. In doing so aluminum can also promote auto-immune reactions and thus may be even more harmful than mercury. For a complete list of additives go to this link. The rubella, chickenpox, rabies, and hepatitis A vaccines are grown in human fetal umbilical cells. Regarding vaccines which contain gelatin and pig, dog, and human tissues, vegans and observant Jews and Moslems would have religious grounds to decline to take them. Vaccines can only grow in a medium. The most common is the chicken egg. Another is green monkey kidney cells. Vaccine producers want to use human cancer cells as a medium because cancer cells are immortal. They do not commit apoptosis, which normal cells do when they are defective or old. The medium will contain many unknown viruses. The MMR may contain the avian leukemia virus. Vaccines frequently contain genetically modified genes, with genes taken from insects and then injected into our children. Read about a new GMO flu vaccine. Go to a drug store and ask the pharmacist for as many different package inserts he can give you. You will find that your vaccine might not be kosher because it is made with non-kosher gelatin. It is not halal because it may contain pig. And it may contain the genes of many different species, so it cannot be organic. The easiest way to keep kosher, halal, or organic is to eat vegan and avoid commercial vaccines. (2) (a) The form presented on or after July 22, 2011, must include a statement to be signed by a health care practitioner stating that he or she provided the signator with information about the benefits and risks of immunization to the child. The form may be signed by a health care practitioner at any time prior to the enrollment of the child in a school or licensed day care. Photocopies of the signed form or a letter from the health care practitioner referencing the child’s name shall be accepted in lieu of the original form. Summary: To obtain a medical exemption the parent needs a certificate from a medical professional. To obtain a religious or philosophical exemption the parent must 1) either be an active member of a denomination which opposes vaccination or perhaps even all medical treatment or 2) if not an active member of such a denomination, also obtain a medical certificate. It is probably illegal to require that a person be a member of a particular religion in order to raise a religious or philosophical objection. In Washington unvaccinated children can be sent home if there is an outbreak of a childhood disease in his or her school. This is an odd rule give that the CDC admits, in the case of pertussis, that vaccinated children can spread the disease. The news for Governor Inslee is that the risks are not miniscule and that some children are not made safer by some vaccines. However, the effort succeeded in California. It will go into effect in July of 2016. Parents there must either home school their children or vaccinate them or leave the state. Some suggest charging medical practitioners with assault. The suits have begun. Attorney Matthew Phillips filed a well-reasoned suit, I encourage you to read at www.revoltrevokerestore.com. I like it so much I have posted it at the bottom of this page. Read about another suit at www.gofundme.com/sb277lawsuit. Expect a big blow up when school starts in September. I predict an injunction will be filed or at least that parents will rebel. A leaky vaccine is one which suppresses most symptoms but allows the person who has been vaccinated to spread the disease to others. A person who is vaccinated for measles or pertussis develops a vaccine version of measles or pertussis. He sheds viruses, and is contagious and can spread the disease – just as well as a person who has contracted measles or pertussis from a “wild” source. This is another reason why making vaccines mandatory makes no sense. The justification for making vaccines mandatory – by taking away exemptions for philosophical and religions reasons – is that as many children and adults as possible should be vaccinated in order to protect those who cannot be vaccinated because they are too young, immune compromised, or perhaps pregnant and to interrupt the transmission of disease. This is called the herd immunity theory. Vaccine refuseniks ask why – if vaccines work – those who are vaccinated should worry about those who are not. The herd immunity theory is the answer given, and it is used to cancel the refuseniks’ right not to consent. The theory might make sense if vaccines were highly effective, were very safe, and if vaccines themselves were not leaky and did not spread diseases. Many vaccines are effective only to a limited degree and protection wears off. Many vaccines are not safe. And every person injected with a attenuated live virus vaccine develops a vaccine version of the disease, sheds viruses, and can infect others. Thus, the herd immunity theory fails on three counts. The net result is that parents are required to subject their child to adverse reactions disclosed in the package insert, sometimes very serious reactions, in order to protect some other child from disease, when in fact vaccination does not protect the other child and might even result in transmission of the feared disease to the other child. The herd immunity theory is clearly invalid in the case of the mumps and pertussis vaccines. If a vaccine causes harm to a person, that is an assault. An assault by government on any level violates of our 5th and 14th Amendment rights by depriving us of life, liberty, and property without due process of law and by abridging a person’s privileges and immunities as citizens. We have a right to give informed consent to medical procedures, and that includes the right not to consent. On the other hand states, are asserting the right to require vaccination with all the vaccines on the CDC recommended list. The states assume that the diseases they are vaccinating against would otherwise cause numerous cases of sickness and death, and that the vaccines will prevent all that. How deadly must a disease be for state government to require administration of a vaccine against it? This question is different for each disease and the vaccine which would prevent it. There is apparently no regulation in the Code of Federal Regulations which sets forth a protocol governing informed consent when human subjects are receiving vaccinations. However, there is a federal protocol governing informed consent when human subjects are receiving experimental drugs which are being tested for safety. See 21 CFR 50.20. True anti-vaxxers are rare. They contend that the entire vaccination project is still in a primitive stage and that it is safer to avoid them and risk the disease than to risk the adverse reactions, which everyone admits do happen. Vaccine makers have been fined heavily. Merck paid out billions of dollars in damages for harm caused by Vioxx. Does this inspire trust in what the vaccine makers say? It is revealing to read the package inserts that come with the vaccine boxes. Ask the pharmacist for copies. No one ever asks for them and they have a trash can full of them. You may also read them online at www.immunize.org/packageinserts. When you get there do a word search for “Guillain-Barré”, “Thimerosal”, “has not been evaluated for”, “pregnant”, “precautions”, “warnings”, “contraindications”. Go to this link for a list of the adjuvants, excipients, and other additives which each vaccine contains. Go to this link for a list of vaccines containing Thimerosal. Most but not all flu vaccines contain mercury Thimerosal. Check the list of vaccines containing Thimerosal and avoid them all. The commonly used multi-dose Fluzone and the multi-dose FluLavel from GlaxoSmithKline, use Thimerosal as a preservative. Each dose contains 25 micrograms of ethyl mercury. Given that the atomic mass of ethyl mercury (C2H5Hg) is 226, and given that there are 6.02 x 1023 according to Avogadro’s number, 25 mcg = 54 quadrillion atoms of mercury. Ethyl mercury is a mitochondrial toxin. It affects cell division. The FDA ordered Thimerosal removed from vaccines given to children under six and has not rescinded that order. Nevertheless, fetuses, through flu vaccination of their mothers, continue to receive Thimerosal, and the CDC recommends that infants start receiving the flu vaccine yearly starting at six months, all despite the fact that the flu vaccine package insert for Fluzone says that “safety and effectiveness of Fluzone has not been established in pregnant women” and that “Fluzone should be given to a pregnant woman only if clearly needed.” The Flulaval disclaimer is similar. Nevertheless, the fluarix vaccine, which contains mercury Thimerosal, is being given to pregnant women. This is complete malpractice because the mercury passes right through the placenta and into the fetus. The Novaris Fluvarin multi-dose flu vaccine contains a whopping 25 micrograms of mercury per dose, included as a preservative. The single dose version contains a “trace” amount of mercury Thimerosal, under 1.0 micrograms, only 2.2 quadrillion atoms – still too much for me. Flu can be a complicating factor when a person also has pneumonia or some other disease. An estimated 675,000 Unitedstatesians and 50 to 100 million worldwide died from the Spanish flu (thought to have been a swine flu) right after World War I, and so there is great fear of the flu. Nevertheless, the fear is overblown. By 1918 Bayer had lost its patent on aspirin, and generic aspirin became cheap and flooded the market. The Surgeon General recommended large doses of aspirin to treat flu. Patients were given 8 to 31 grams per day. This is grams not milligrams. Aspirin overdose may have combined with the infection itself to kill those infected. Do the math. The typical aspirin pill is 375 mg. The maximum daily dose is four grams or 4,000 milligrams. A person taking 31 grams per day (31,000 mg) is taking eight times today’s recommended maximum, and flu victims in 1918 were getting this much day after day. The LD-50 for rats is 200 mg/kg, which is milligrams per kilogram of body weight. Consuming this much acetylsalicylic acid can be life threatening. The LD-50 is the dose at which 50% of subjects are dead and the other 50% will be sick to varying levels. We do not know the LD-50 for humans because it would be unethical to poison humans with various amounts of acetylsalicylic acid in many test groups to see what daily amount of acetylsalicylic acid will kill 50% of the subjects. The LD-50 for humans is often similar to the LD-50 for rats. For a 75 kilogram man (165 pounds) 31,000 mg of aspirin per kilogram would be 413 mg/kg per day, more than double the LD-50 for rats. If flu victims in 1918 had flu and also pneumonia plus toxic doses of acetylsalicylic acid, it is easy to see why so many died. The National Vaccine Injury Compensation Program from 1986 through 2014 admits that program has compensated 1,718 people for adverse effects resulting from the flu vaccines, around 100 of which were for death. For all these reasons, flu is not a disease one should vaccinate against, even if the vaccine used contains no mercury Thimerosal. And especially the flu vaccine is not one which should be made mandatory. The package insert makes such frank disclosure because vaccine manufacturers have exemption from liability only if they disclose the worst that can happen. See his testimony to Congress at this link. A re-analysis of data used by a 2002 Danish study by Dr. Samy Suissa of McGill University in Montreal (Canada) found that children who had had the MMR vaccination were 45% more likely to have developed autism than the children who had not had the MMR vaccination. Measles is not a trifling malady. It can be particularly harmful if one also has pneumonia, although death in the United States is rare. However, measles is not generally fatal as are rabies, tetanus, and Ebola. Deaths from measles cases had declined sharply before the measles vaccine was introduced in 1963, due to better diet, cleaner drinking water, more and better sewers, and better medical treatment. It is true that some 400 people die each day of measles around the world, but most of those deaths are in Third World Countries where water supply is not pure, sewers are inadequate, diets are poor, and medical services are inadequate. Relatively few die from measles in developed countries, including the United States. The question which must be asked is how many are harmed by the measles vaccine. Since 1986, Health & Human Services reports 57 deaths from the MMR vaccine. One report says that the CDC reports either two or no deaths from measles in the past ten years, while the VAERS database reports 108 deaths from measles vaccines in the same period. It would appear that the potential risk exceeds the potential benefit. In the recent Disneyland measles outbreak none died. A Washington woman died of measles combined with pneumonia. She had been vaccinated as a child. The same is true for the measles vaccine. And the pertussis vaccine. See other reports on the ineffectiveness of many vaccines. “Women of childbearing age should be advised not to become pregnant for 3 months after vaccination and should be informed of the reasons for this precaution. … [The MMR II contains] “gelatin”. … Do not give M-M-R II to pregnant females; the possible effects of the vaccine on fetal development are unknown at this time. … Animal reproduction studies have not been conducted with M-M-R II. It is also not known whether M-M-R II can cause fetal harm when administered to a pregnant woman or can affect reproduction capacity. Therefore, the vaccine should not be administered to pregnant females; furthermore, pregnancy should be avoided for 3 months following vaccination. … “Mumps infection during the first trimester of pregnancy may increase the rate of spontaneous abortion. … Adverse Reactions … Death from various, and in some cases unknown, causes has been reported rarely following vaccination with measles, mumps, and rubella vaccine”. Atypical measles occurs only in those who have been vaccinated against measles, and the disease can be serious, even fatal. The mumps vaccine is particularly ineffective. It is also leaky, meaning that those vaccinated contract a vaccine version of the mumps and can infect others. “Recently, 41 students at Harvard University came down with mumps and, according to the Public Health department in Cambridge, every single one of those students had been vaccinated”. Vaccines can only grow in a medium. The most common is the chicken egg. The medium will contain many viruses, and the MMR may contain the avian leukemia virus. Doctors recommend that pregnant women not get vaccines that use live, attenuated (weakened) viruses, such as the MMR (measles, mumps, rubella) and chicken pox vaccines. But they strongly recommend that moms-to be do get these two: the flu (influenza) and Tdap (tetanus-diphtheria-acellular pertussis) vaccines. However, Dr. Suzanne Humphries, M.D. opposes giving any vaccines to pregnant women. I do believe she opposes most or all vaccines as being unsafe, ineffective, and harmful to far too many children. Infants should take mother’s milk as long as possible because nursing imparts immunities to the infant. Safety and effectiveness of BEXSERO have not been established in children younger than 10 years of age. Safety and effectiveness of BEXSERO have not been established in adults older than 65 years of age. Meningococcal disease is serious, but it is also rare and difficult to pass from one person to another. Transfer is typically by exchanging saliva. The most common strain of meningococcal disease is strain B, however, the vaccine does not protect against strain B. Between 20 and 40 percent of us carry the meningococcal virus but do not contract meningococcal disease. Read about the mechanism whereby Gardasil sickens. The American College of Pediatricians has warned of the dangers of Gardasil. Read the Gardasil package insert, which discloses that 40 deaths have resulted from administering Gardasil. The vaccine manufacturer is exempt from liability only if the manufacturer fully discloses all known adverse reactions. Anaphylaxis (including anaphylactic shock) and related phenomena such as angioneurotic edema, facial edema, and peripheral edema. Eye Disorders Necrotizing retinitis (in immunocompromised individuals). Hemic and Lymphatic System Aplastic anemia; thrombocytopenia (including idiopathic thrombocytopenic purpura (ITP)). Infections and Infestations Varicella (vaccine strain). Nervous/Psychiatric Encephalitis; cerebrovascular accident; transverse myelitis; Guillain-Barré syndrome; Bell’s palsy; ataxia; non-febrile seizures; aseptic meningitis; dizziness; paresthesia. Respiratory Pharyngitis; pneumonia/pneumonitis. Skin Stevens-Johnson syndrome; erythema multiform; Henoch-Schönlein purpura; secondary bacterial infections of skin and soft tissue, including impetigo and cellulitis; herpes zoster. We are fortunate that smallpox has been eradicated. Eradication was possible because no other species carry smallpox, and once it was eradicated in humans, there was no non-human reservoir from which it could reemerge. It is commonly believed that it was the smallpox vaccine that eradicated smallpox; however, this is impossible because only 10 percent of the population was ever vaccinated. Quarantine was possibly responsible for the demise of smallpox. The smallpox vaccine caused serious side effects, actually spread smallpox, and was generally ineffective. Through the so-called revolving door, the FDA, CDC, and EPA have to a large extent been taken over by the industries they regulate. Just because the CDC tells us a vaccine is safe and effective does not mean this is true. A few who have gone through the revolving door are Billy Tauzin, Linda Fisher, Meredith Attwell Baker of Comcast, Walter Lukin of Futures Industry Associates, Jacob Leu from CitiGroup, Henry Paulson of Goldman Sachs, William Linn from Ratheon, Michael Taylor and others from Monsanto. It is amazing just how manipulated the media is when it comes to the issue of vaccination. I have to wonder if editors ever took high school biology and chemistry. They seem to lack the ability to think for themselves. Every mention of Andrew Wakefield, for example, refers to him as “discredited”, when in fact he has been clearly vindicated. Wakefield was denounced as a vaccine denier, although he supported and continues to supports the single dose measles vaccine, as well as other single dose vaccines. He only opposed the MMR, a combined injection. Combined vaccines can be more harmful than single vaccines. For questioning the safety of one extremely profitable vaccine combo, Wakefield was “lynched” by GlaxoSmithCline and the medical establishment. Wakefield’s results have been replicated in at least 28 studies done by scientists in other countries. Further, Wakefield has great insight in how to treat children who have had adverse vaccine reactions. His approach is to start with the stomach, because gastric problems are tied to the autistic symptoms. Cure the stomach problem and the adverse vaccine reaction will cure itself. No Fraud. No Hoax. No Profit Motive. “The British Medical Journal and reporter Brian Deer recently alleged that my 1998 research paper was ‘a hoax’ and ‘an elaborate fraud’ and that my motivation was profit. “I want to make one thing crystal clear for the record – my research and the serious medical problems found in those children were not a hoax and there was no fraud whatsoever. Nor did I seek to profit from our findings. “It is not unexpected to see poor reporting and misinformation coming from Brian Deer, the lead reporter of the recent BMJ coverage. But to see coverage in other media that cites Deer’s shoddy journalism in the BMJ as a final justification to claim there is no link between vaccines and autism is ludicrous. The MMR is only one vaccine of the eleven vaccinations on the pediatric schedule that has been studied for causing developmental problems such as autism. That is fact, not opinion. Any medical professional, government official or journalist who states that the case is closed on whether vaccines cause autism is jumping to conclusions without the research to back it up. Dr. Wakefield has produced and directed a movie named VAXXED, regarding Dr. Thompson. It was to be shown at the Tribeca Film Festival. Pro-vaccination forces pressured Robert DeNiro to pull the movie, and DeNiro caved. Now DeNiro is regretting that he yielded to the pressure. The movie is not about Wakefield, but in telling how the CDC eliminated data which would have proven that the MMR vaccine does cause autism, it vindicates Wakefield. Who is a vaccine denier? A mother who questions the safety of a vaccine containing mercury, aluminum, MSG, antibiotics, eggs, or formaldehyde, or Beta HCG hormone, or the urabi virus is not a vaccine denier. Dr. Susan Humphries points out that HepB, Strep Pneumo, Hib and Meningococcal vaccines contain aluminum, which acts as an adjuvant to provoke an artificial immune reaction. A mother is not a denier if her child is frail or has already had an adverse vaccine reaction and she chooses to opt her child out. She is not a denier if she questions giving children 49 injections of 14 vaccines by age six, and 130 if you live to age 78, many containing mercury Thimerosal, including a vaccine at birth for hepatitis B, a disease usually infecting IV drug users and those who sell sexual services. Most are not harmed by vaccines, but some are. For proof read the decisions of the Vaccine Court, which has paid out some $3.0 billion and has acknowledged that specific vaccines have caused specific harms. See the package inserts which comes in vaccine boxes. Ask your pharmacist for copies. I am not opposed to vaccines which have been proven to be safe, effective, necessary, legal, and not to be leaky. However, few of them pass these tests. For such reasons, vaccination should not be made mandatory. Vaccines must be grown in a medium known not to be infected with harmful viruses. Vaccines should be put into use only after careful testing. Because adverse reactions are inevitable with any drug, vaccines should not be used to prevent diseases which are rarely fatal and which can be dealt with through quarantine and special treatment. The concept of vaccination is not one which should be rejected completely, but it should be used with restraint. 1. IPV (inactivated poliovirus vaccine) cannot prevent transmission of poliovirus (see appendix for the scientific study, Item #1). Wild poliovirus has been non-existent in the USA for at least two decades. Even if wild poliovirus were to be re-imported by travel, vaccinating for polio with IPV cannot affect the safety of public spaces. Please note that wild poliovirus eradication is attributed to the use of a different vaccine, OPV or oral poliovirus vaccine. Despite being capable of preventing wild poliovirus transmission, use of OPV was phased out long ago in the USA and replaced with IPV due to safety concerns. 4. The acellular pertussis (aP) vaccine (the final element of the DTaP combined vaccine), now in use in the USA, replaced the whole cell pertussis vaccine in the late 1990s, which was followed by an unprecedented resurgence of whooping cough. An experiment with deliberate pertussis infection in primates revealed that the aP vaccine is not capable of preventing colonization and transmission of B. pertussis (see appendix for the scientific study, Item #2). The FDA has issued a warning regarding this crucial finding. 5. Among numerous types of H. influenzae, the Hib vaccine covers only type b. Despite its sole intention to reduce symptomatic and asymptomatic (disease-less) Hib carriage, the introduction of the Hib vaccine has inadvertently shifted strain dominance towards other types of H. influenzae (types a through f).These types have been causing invasive disease of high severity and increasing incidence in adults in the era of Hib vaccination of children (see appendix for the scientific study, Item #4). The general population is more vulnerable to the invasive disease now than it was prior to the start of the Hib vaccination campaign. Discriminating against children who are not vaccinated for Hib does not make any scientific sense in the era of non-type b H. influenzae disease. Doctor invited to Oregon Senate says he prevents autism by not vaccinating his patients. Prologue: “They can put anything they want in that vaccine and they have no accountability for it.” – Robert F. Kennedy, Jr.
SB 277 removes the “personal beliefs” exemption as a basis for parents to opt-out of state mandated “immunization” requirements for schoolchildren. Plaintiffs oppose this tyrannical bill because it wrongfully places the interests of the national vaccine market above the interests of California children; and sadly, this is a symptom of a larger sickness that debilitates the nation. America stands alone; we are the only nation on Earth in which healthcare is dispensed first and foremost to create shareholder value, and only secondarily for health-related reasons, and even then, with little or no regard for patients’ rights as individuals. SB 277 provides that students will be admitted to school only upon proof of “immunization” against a minimum of ten (10) different childhood diseases. The State hopes to reach a goal of “total immunization,” (is such goal possible? ), by injecting into children’s bodies whichever chemicals or ingredients the State, in its sole discretion, and ineffable wisdom, deems necessary and appropriate. In furtherance of this stated goal — “total immunization” — the State openly and notoriously declares it will take the extreme and outrageous step of denying California children their fundamental right to go to school — regardless of parents’ “personal beliefs,” including their sincerely held philosophic, conscientious, and religious objections to State-mandated immunization. Plaintiffs seek to strike down SB 277 and restore the “personal beliefs” exemption to all State-mandated vaccine programs for California schoolchildren. Plaintiffs seek a preliminary and permanent injunction forever halting SB 277. Plaintiffs sue to enforce their children’s constitutional right to an education regardless of “immunization status” (i.e., “medical status”), and also to enforce a parent’s rights to exercise “personal beliefs” in opposition to State-mandated immunization requirements by asserting their own various philosophic objections, (“Herd immunity is fraud!”), conscientious objections, (“My family is Vegan!”), and religious objections, (“Aborted fetal cells?–No way!”). SB 277 violates the children’s fundamental right to attend school, (Calif. Const. Art. 9, Sec. 5), and it also violates the parents’ fundamental right to freely exercise their “personal beliefs” (Free Exercise Clause, First Amendment). Plaintiffs cannot understate the historical significance and sheer weight of the First Amendment; the right to “freely exercise religion” forms the very cornerstone of democracy. Plaintiffs believe The Founders placed “freedom of religion” in the First Amendment because it is the most fundamental of all rights, quite literally, the number one most cherished right of free-thinking people. The Free Exercise Clause protects the individual in his or her free expression of “personal beliefs” — especially those beliefs that run contrary to the State. The First Amendment allows individuals to freely exercise “personal beliefs” and freely make their own joyful noise without leave or hindrance from the State. This lawsuit recognizes no public health crisis; rather, this lawsuit champions civil liberties, personal freedoms, and restores the rights of the individual. Plaintiffs steadfastly refuse to surrender their constitutional right to exercise “personal beliefs” — i.e., their sincerely held philosophic, conscientious, and religious objections to State-mandated immunization; furthermore, Plaintiffs refuse to surrender their children’s constitutional right to go to school. Plaintiffs should not be required to surrender one constitutional right to get to another. Plaintiffs should not be placed in the untenable position of having to choose between the right to educate their children, (Calif. Const. Art. 9, Sec. 5), and the right to freely exercise their “personal beliefs” in opposition to State-mandated immunization, (Free Exercise Clause, First Amendment). Plaintiffs seek a court order striking down SB 277 as unconstitutional. Plaintiffs seek preliminary and permanent injunctive relief in order to preserve the status quo and to halt enforcement of SB 277. [California Health & Safety Code §§120325 – 20380]. Most significantly, SB 277 implicates “fundamental rights,” chiefly, the children’s fundamental right to go to school, (Calif. Constitution), and the parents’ fundamental right to freely exercise their “personal beliefs,” (First Amendment). The “right to go to school” and the “right to freely exercise personal beliefs” are constitutional rights, and thus, “fundamental” rights. Where, as here, “fundamental rights” are at stake, courts must employ a heightened level of judicial review, “strict scrutiny.” Under a “strict scrutiny” analysis, this Court must strike down SB 277 because, when all’s said, the State’s interest in educating children is necessarily more compelling than its interest in vaccinating them. Here, because Plaintiffs allege violations of fundamental rights, the burden of proof “shifts” to the State to demonstrate a “compelling governmental interest” in SB 277, and further, the State has the burden to demonstrate that Sacramento lawmakers “narrowly tailored” SB 277 to achieve only that specific governmental interest, with no “less-restrictive means” available. The stated goal of SB 277 is the “total immunization” of all California schoolchildren. [See Calif. H&S Code §120325(a)] However, this Orwellian goal of “total immunization,” is factually impossible to achieve, and thus, the State, as a matter of law, can never meet its legal burden, and Plaintiffs thus prevail. Assuming vaccine makers file motions to intervene in the instant litigation, Plaintiffs are confident that vaccine makers will corroborate the fact that their vaccines come with absolutely, positively zero guarantees, warranties, or promises, express or implied, of any kind whatsoever. None! Bending to the will of the national vaccine market, the State-mandated “immunization” program is built on a faulty premise; the State, (wittingly or unwittingly? ), labors under the false premise that vaccination always results in “immunization,” but Plaintiffs reemphasize — this is flatly false. Forgetting for a moment what may be dubious motives underlying this goal of “total immunization,” Plaintiffs point out the availability of “less-restrictive means” of achieving such a goal (if indeed it be a worthwhile goal); for example, where parents are concerned about “immunization,” such parents are always free to “immunize,” if they so choose, or where parents are concerned about disease prevention generally, they are free to seek advice or treatment consistent with their own “personal beliefs” (philosophic, conscientious, and religious). And, where the State has legitimate concern about disease prevention, (unrelated to concerns for the national vaccine market), the State may undertake disease-prevention awareness; but ultimately, all decisions regarding whether to “immunize” must be made by the parents, not the State. The State’s interest in achieving “total immunization” must necessarily take a backseat to the California Constitution, which guarantees the fundamental right to free, public education. [Calif. Const., Art. 9, Sec. 5] The California Supreme Court stands firmly on this fundamental right, stating: “[S]ociety has a compelling interest in affording children an opportunity to attend school.” [Serrano v. Priest, (1971) 5 Cal. 3d 584, 606, 487 P.2d 1241, 1257]. The U.S. Supreme Court recognizes the right to refuse unwanted medical interventions. [Cruzan v. Director Missouri Dept. Health, (1990) 497 U.S. 261, 278] And, when it comes to the children’s best interests, it is the parents, not the State, who shall have the right to make healthcare decisions. A child is not a “mere creature of the State.” [Parham v. J.R., (1979) 422 U.S. 584] Plaintiffs contend that SB 277 wrongfully removes the parents as decision-makers and wrongfully delegates decision-making to the State. Plaintiffs believes the Court may take judicial notice of the fact that vaccines maim and kill children. The horror of this reality is mind-numbing. And, in too many instances, vaccines turn out to be more injurious and more deadly than the predicate diseases for which the vaccines were administered in the first place. For example, over the past ten years, the number of schoolchildren who have died from the MMR vaccine far outpaces the number of measles deaths (if any). In fact, the MMR vaccine has a disastrous “success” rate of killing approximately one American child, every month, for the last ten years; sadly, when it comes to measles “immunization,” it’s hard to tell the poison from the cure. Back in 1986, seeking to stabilize the national vaccine market, Congress passed the National Childhood Vaccine Injury Act, [42 U.S.C. §§ 300aa-1 to 300aa-34; (“The Act”)], and since its creation, the national Vaccine Injury Compensation Program, (“VICP”), has paid-out more than three billion dollars (taxpayer money) on vaccine injury and wrongful death claims. The Act protects the national vaccine market by forbidding would-be plaintiffs from suing vaccine makers at the county courthouse; the Act instead funnels plaintiffs into an arbitration quagmire — which has no legal mechanism to subpoena industry documents that might tend to prove things like vaccine design defects or manufacturing defects. The Act further protects vaccine makers by relieving them of having to pay monetary compensation to vaccine victims; the Act instead saddles taxpayers with the burden of funding injury compensation. The purpose of the Act is to stabilize the national vaccine market by allowing vaccine makers to dodge jury trials and class action lawsuits. “But for” the Act, jury trials and class action lawsuits would destabilize the national vaccine market — then overwhelm and capsize it — because vaccines are “unavoidably unsafe.” Without the Act’s protection, vaccine makers would lose every lawsuit and be driven out-of-business by personal injury lawyers. Tragically, instead of removing “unavoidably unsafe” products from the marketplace, Congress instead removed the specter of liability, and this in turn removed all incentive for vaccine safety. So now, when vaccines kill or maim, vaccine makers pay no monetary damages to the victims — because Congress foisted that duty upon the American taxpayer — who must “bail out” vaccine makers for their negligent design and manufacturing defects. The popular media pretends that vaccines are “safe and effective,” but this is a blatant falsehood; as a matter of law, all vaccines are “unavoidably unsafe,” and for this reason alone, parents are wise to opt-out of mandatory immunization because sometimes, indeed, all too often, vaccines go wrong. Perhaps most disturbing of all, when vaccines go wrong, vaccine makers are utterly incapable of explaining “why.” But this comes as no surprise because vaccine makers are just as incapable of explaining “how” their vaccines (supposedly) bring about immunization. Plaintiffs view all vaccine makers with mistrust and suspicion because: (i) vaccine makers do not guarantee “immunization;” (ii) persons injured by vaccines cannot sue vaccine makers at the county courthouse; (iii) taxpayers must subsidize the vaccine maker’s design defects, manufacturing defects, personal injury claims and wrongful death claims; and (iv) all vaccines are deemed “unavoidably unsafe” due to the ever-present risk of death or great bodily injury; and (v) vaccine makers cannot explain how their products work, nor why they fail. Science cannot explain “why” vaccines kill, nor can science predict “who” will next suffer vaccine injuries or “when.” Under a simple cost-benefit analysis, the “costs” associated with vaccines clearly outweigh any “benefit” — because vaccines come with no immunization guarantee and instead carry the very palpable risk of death. SB 277 violates the constitutional rights of Plaintiffs and their children. Plaintiffs request preliminary and permanent injunctive relief that declares SB 277 unconstitutional, and further, restrains The State of California from enforcing SB 277 and its “immunization” mandates. Epilogue: Freedom means nothing if you can’t keep the government out of your body.